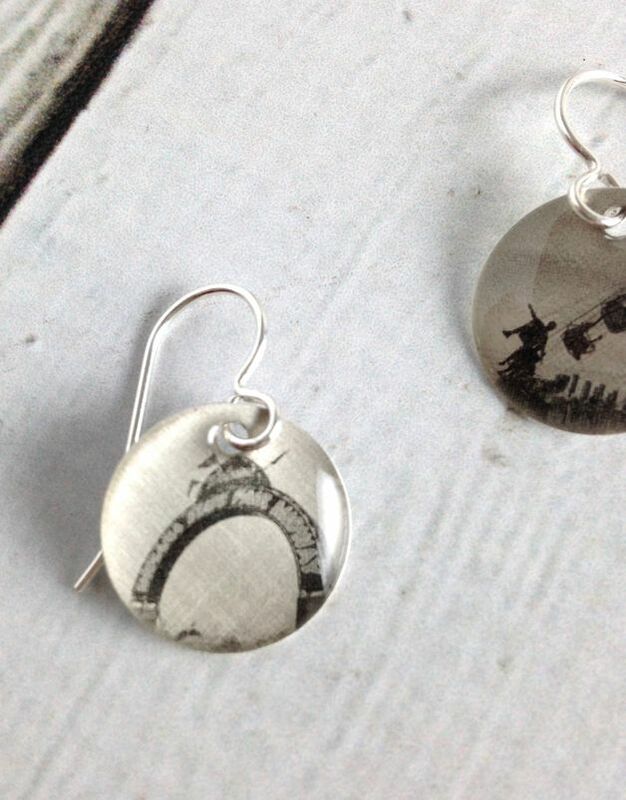 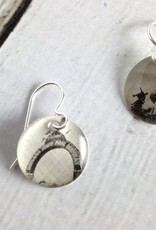 The photos used for these earrings were taken on a hot summer night at the Indiana State Fair, a tradition for many Indiana families. 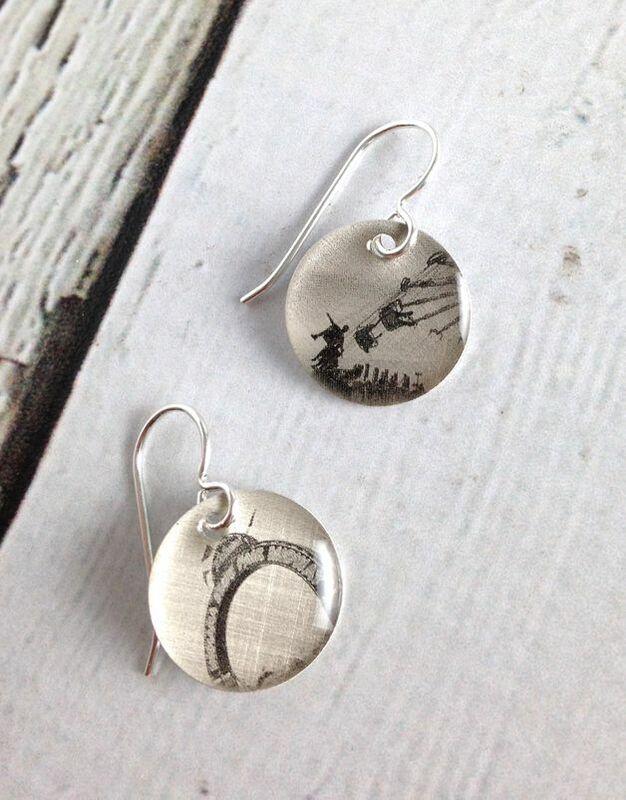 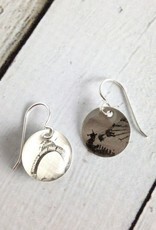 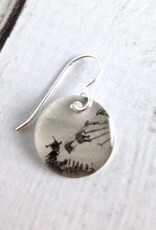 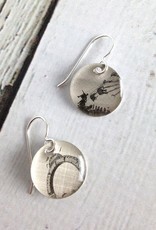 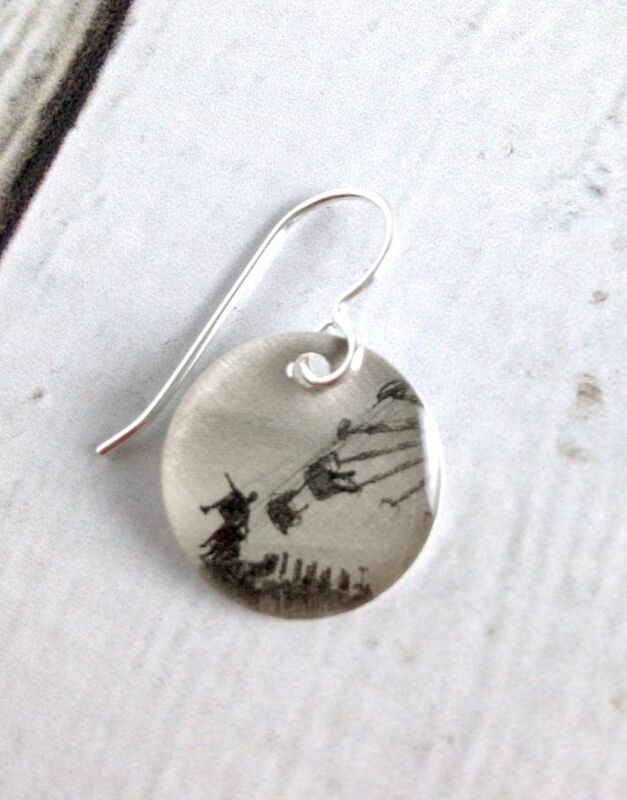 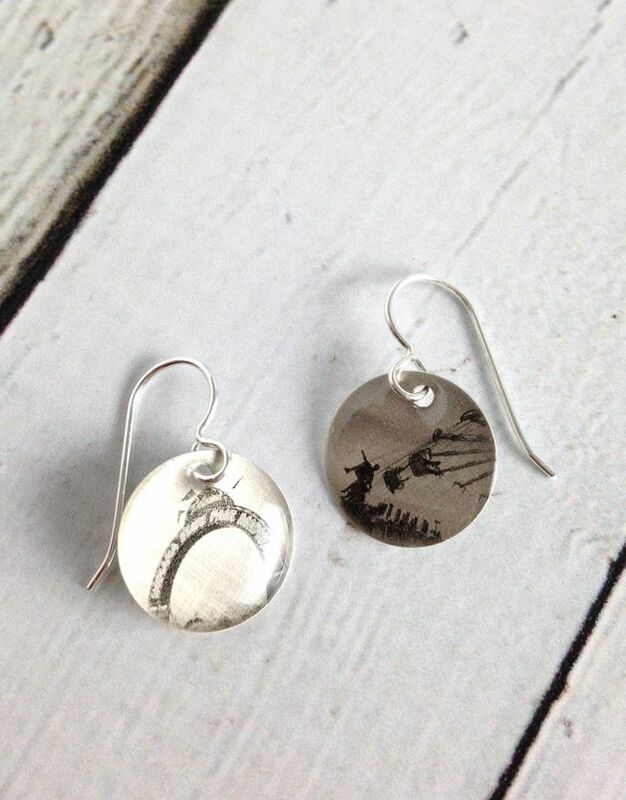 Printed on a 3/4" sterling silver disc then protected with a smooth layer of clear resin and hung from sterling silver ear hooks. 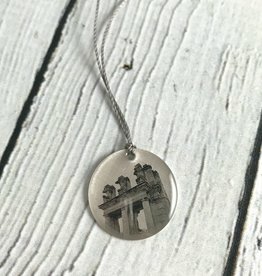 The photo used in this piece is of the Soldiers and Sailor Monument in Downtown Indianapolis, at the center of Monument Circle. 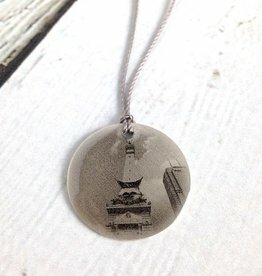 The photo used in this piece was taken in the Broad Ripple neighborhood overlooking the old Monon railroad bridge. 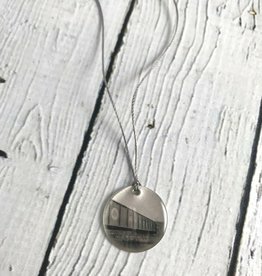 The old Monon track is now a trail that goes from downtown Indianapolis, all the way up to Carmel, Indiana.